La Mom - an American mom in Paris: Ready, Set, SOLDES! Ladies and gentlemen, get your running shoes out and your boxing gloves on. Today marks the beginning of the fabled twice-annual deep-discount French sales. Fabled, you might ask? Let’s just say that even Cendrillion can find a dress or two to go with those glass stilettos as prices fall to rock-bottom over the 5-week sales period. And why the boxing gloves? If it’s anything like last year’s Zadig and Voltaire’s markdowns, you’ll need ‘em. Normally prim and proper 16th arondissement demoiselles morphed into banshees as they duked it out over cashmere sweaters – even resorted to slugging each other with their Hermès Birkin bags to get at the last ELVIS-logo pullover. Trust me, those sapphire-and-diamond rings can do some damage. Better come with a game plan. 2) If you love it, buy it. Don’t bother looking around at another store to see if they have a better price or wait until it’s marked down even further. If you find something you like in your size, snap it up immédiatement! Stores have problems keeping sizes in stock at the best of times, and it’s even worse during the sales. 3) Think like a Frenchwoman. Parisiennes never buy because the price is right. It’s because they’ve found the perfect pair of shoes for their cocktail dress, or that gold clutch they’ve been hunting for two seasons straight. They only buy what they need – and what makes them look great, bien sûr! 4) Break out your new vocabulary. It’s inevitable – if you get a great deal, someone’s bound to be jealous. Just make sure you have the Français to make the loser pardon their French. Parisienne No° Une: She’s trying on the last size 38! La Mom: Oui, la belle salope who just got the last Yves Saint Laurent LBD at 80% off! 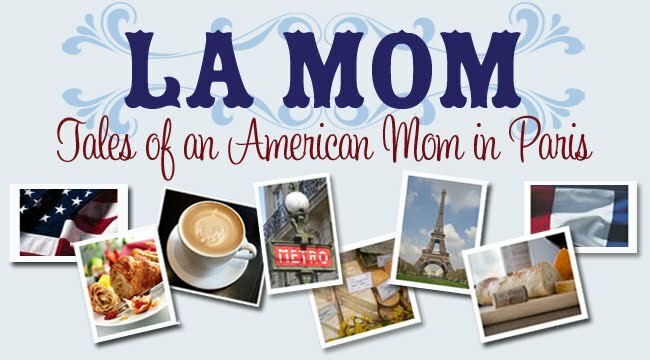 Summer's here and if you can't make it to Paris for vacation then check in at La Mom's blog every week to get the latest dish direct from the City Of Light! La Mom's spilling the beans next week with her tips on how to nail the exclusive international school admission interview! SOS Help is a completely non-profit organization and receives no government help. Please support a good cause. Fill a bag of books for only 5 euros! SOS Help, an English speaking crisis line in France, is open from 3 pm to 11 pm daily. Call us up to talk about anything on your mind – from loneliness to stress to concerns about integrating into a new culture. We are here to listen! Call us at 01 46 21 46 46 or visit us online at www.soshelpline.org for more information. 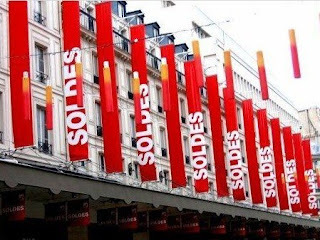 soldes in Paris, have fun !!! Hope you found something wonderful. I think it is funny how Europe only does sales 2x a year. Thank heavens for the SOLDES last july when I was stranded in Paris iwth no luggage for a few days. This sounds like fun! Have a great time. Oh my, that sounds so fun! !